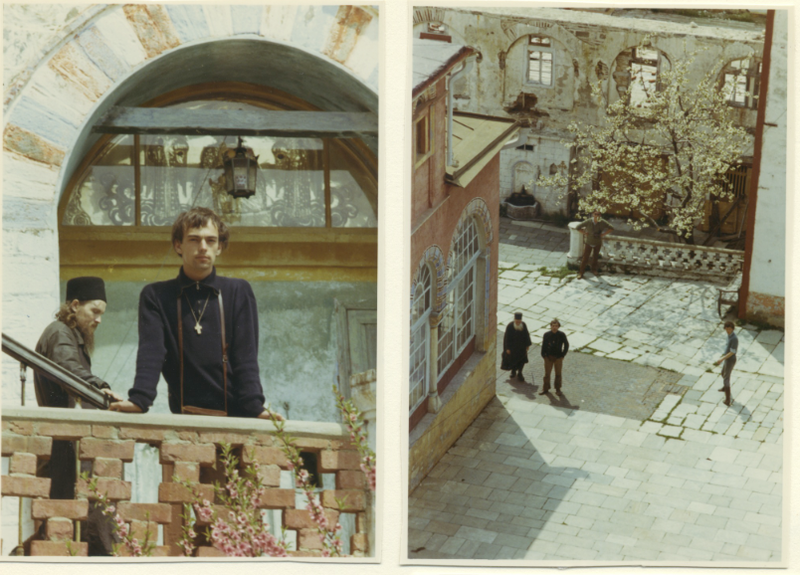 From the photo album of Gerard Koolschijn a selection of images of the Russian monastery of Panteleimonos. 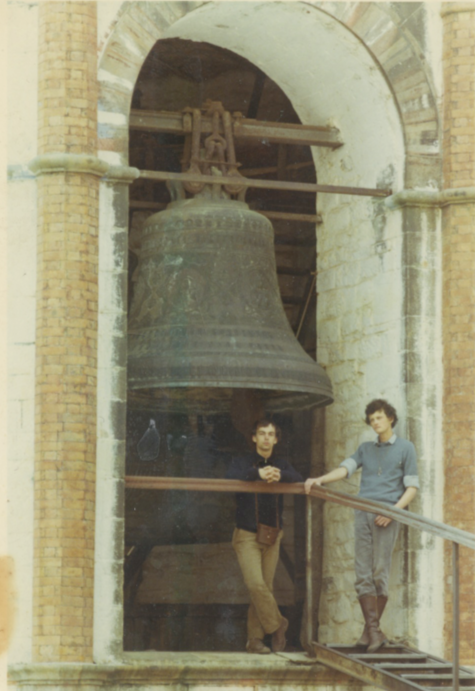 Dutch writer and translator Koolschijn went to Mount Athos in the early 1970ties with his schoolmates and highschool teacher Herman Hissink. It was a time of decline. 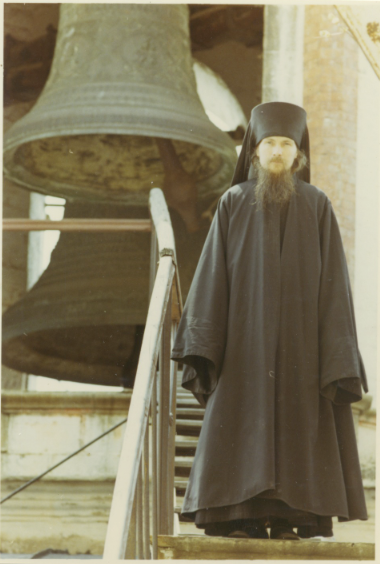 A couple of year before, in 1966, English author John Julius Norwich wrote in his book Mount Athos: Unless a miracle happens – a great nation-wide religious revival, nothing less – the Holy Mountain is doomed. 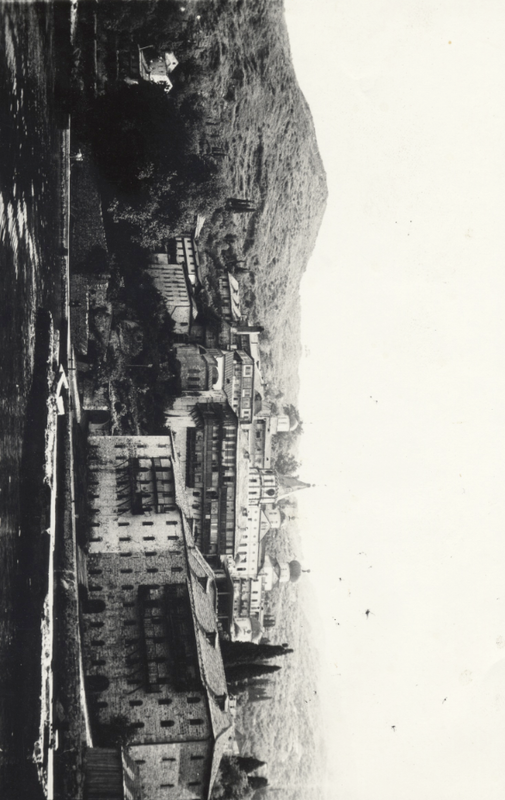 The smaller monasteries will presumably go first…..
Panteleimonos with the belltower and the church on the left. 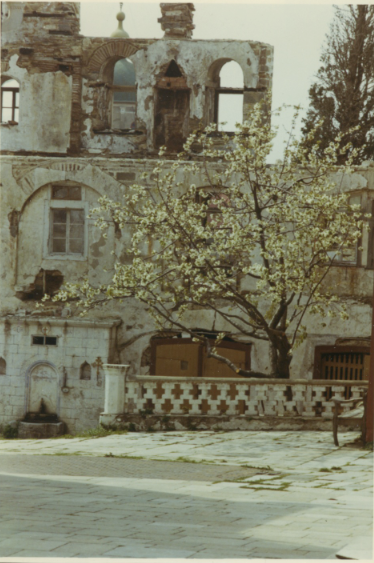 In the background the ruined entrance and the large guesthouse. 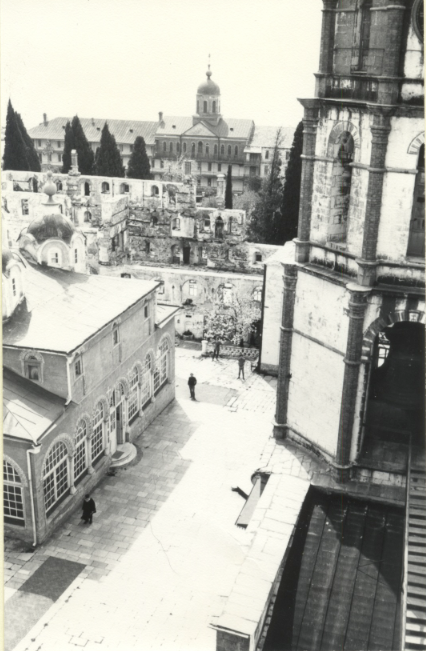 Panteleimonos housed 1500 monks in 1900, 600 monks in 1933 and according to Norwich: 34 inmates, half of them bed-ridden, in June 1964. I wonder how many were left in 1971 when these photo’s were shot. Also other Russian places on Athos were nearly abandoned. The prosperous dependency of Chromitsa, near the border, had formerly 700 inhabitants contained one caretaker in 1964. St. Andrews skete held a 1000 Russians in 1914, in 1964 reduced tot six. The same monk as above with Koolschijns younger brother and an older monk in the courtyard. A page from the photoalbum. This entry was posted in 19 Panteleimonos and tagged Gerard Koolschijn, Herman Hissink, russians. Bookmark the permalink. 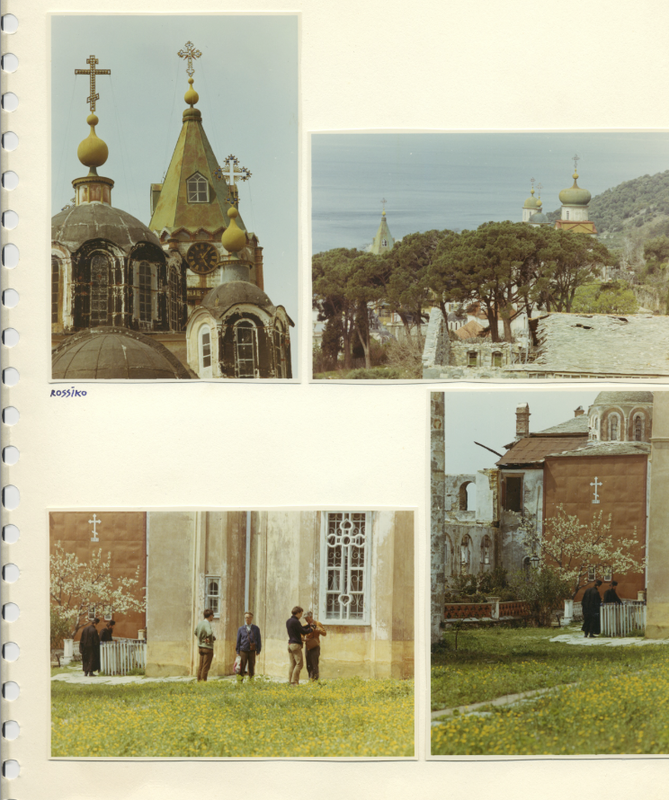 “This, and all other photos tagged “Mount Athos (1971 photo)” can be used to obtain an idea about the changes done since then. The image of the Holy Mountain changed more in the last fifty years than in the previous millennium”. On the next pages (20-26) you can also view the photos of other Athos monasteries. Thanks for sharing. Very Nice historical pictures!